When Arches of Loaf dissolved in 1998, front man and chief songwriter Eric Bachmann decided to work on his poppier side, debuting in 2000 with his new project, Crooked Fingers, and a self-titled full-length on Warm Records. 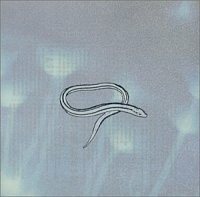 Releasing another record in 2001, Bring on the Snakes (also on Warm), a year later he would followed it up with a covers EP, Reservoir Songs, this time on Touch and Go Records. After that, signed to Merge Records, releasing Red Devil Dawn in 2003. It was around this time, touring solo acoustic and with a band, that the players in his band started to solidify and Bachmann started to think about turning Crooked Fingers into a full-fledged band, and not just a solo project anymore. "It's more a band now, but I'm still the boss in charge," he tells me of the current line-up. "It's more a friendly dictatorship. But, previously it was just me." 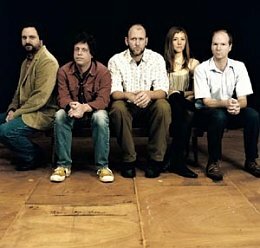 With this band in tow, Bachmann entered a studio to record his forth full-length to date, what would become Dignity and Shame. Expanding on the horn and string usage of Red Devil Dawn, Dignity and Shame further explores Bachmann's penchant for lush, orchestrated pop, all brought to life by his indie-rock tendencies. The results are as rocking as they are beautiful. Bachmann credits a lot of it to the band gelling and turning into a unit, rather than just him. "I did it on purpose. It was time to be collaborative," he says of Dignity and Shame. "It's more enjoyable when you do something creative with others." When asked if the band helped flesh out ideas on the record, and put in their own, sometimes to the detriment of his own ideas, Bachmann thinks about it and admits it did happen. "I feel like I'm secure enough now, or I think I am, to know when people have good ideas that are better than mine," he tells me. 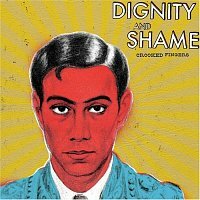 Dignity and Shame feels like the most natural, if not most fun Crooked Fingers record to date, something Bachmann contributes again to the band taking shape. "I enjoy it more," he says of collaboration, "and I think it shows in the music. I've always enjoyed [collaborating] more [than doing it myself]. It's just hard to find the right people. 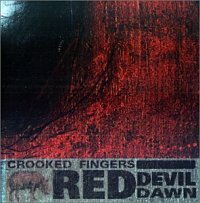 The first Crooked Fingers record would have been a band effort, because I like being in a band, it's just hard to find the right people to work with or people that aren't busy doing something else. Which happens a lot." Demoing a lot for the new record, by the time Bachmann and company entered the studio and recorded the record, the final versions were a lot different than the demos he had carved out. "The record was recorded in a live way," he says of the difference between demos and the record. "The fact that I asked people to collaborate with me is more systematic," he says, as we continue to discuss the collaborative effort on the new record and how the songs changed throughout the recording process. "For me, creatively, I was a bit afraid that the party was getting old so I should open the door and let new people in." When all was said and done, the record finished and delivered to the label, Bachmann says he was quite happy with it. "I like Lara's [Meyerratken, the Australian singer/keyboardist/songwriter who lends her voice to four tracks on the record] performance as a singer," he says when asked what really stands out for him on the record. "And I really like the drumming, and all the parts. I like the fact that we made a really different record. I am really proud of it. Jason [Parker] did great on his trumpet parts." One thing he is quick to point out, though, is that when he does listen to his records (which he rarely does), it is other people's parts that jump out at him and give him the most enjoyment. "If you are your worst critic, which I am, you're always cringing at stuff you've done," he tells me. "And when it's someone else's parts you enjoy it instead of cringing at it." Since the release of the record, Bachmann and the band that recorded with him on the record has toured the U.S. and Canada. After the summer they'll be hitting Australia and Europe, to support the record in those territories. Bachmann, who is still a fan of playing acoustic, will be mixing up the tours, doing a handful of dates solo acoustic, while playing other dates with his full band. "I enjoy both," he admits, "so I'll be doing both to promote this record". When asked what he thinks fans think of the new album and its differences, Bachmann seems at ease when he tells me, "I predict some people will like the older stuff and not the new record. But I like that, I like moving in a new direction and opening it up." And moving in a new direction he did. Pick up a copy of Dignity and Shame if you haven't already.